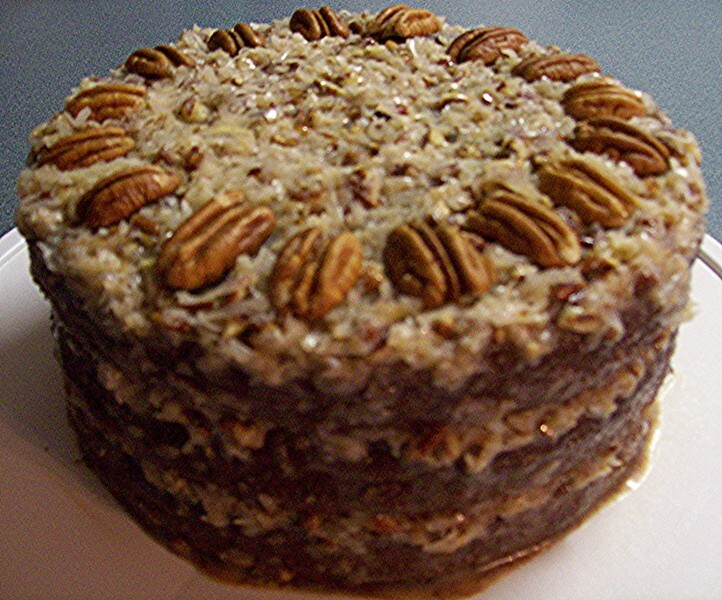 German Chocolate Cake | Rosetta Bakes! 3. Bake 25 to 30 minutes or until top springs back when touched lightly. Cool 5 minutes; remove from pans to wire racks. Cool completely. Prepare COCONUT PECAN FROSTING; spread between layers and over top. 10 to 12 servings.